In e71, General, Linux, Mobile, n900, New Toys! The 2 reasons why the Nokia N900 is (and will remain) fundamentally better than an iPhone. 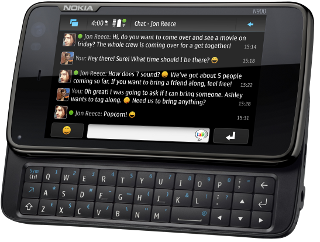 10 things I love about the Nokia N900 and 10 things I hate about it. Can the Nokia N900 replace a netbook? Using the Nokia N900 in the field, and why its €500 pricetag isn't really so daft after all.